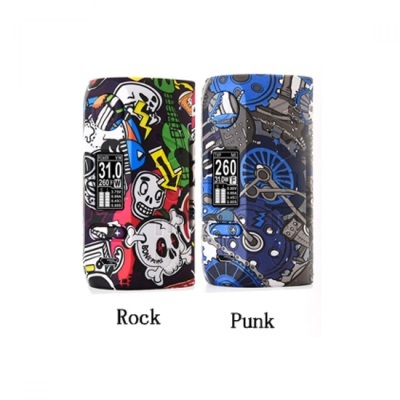 The Vapor Storm Puma 200W TC Box Mod delivers a series of creatively designed outer shell made from lightweight ABS material, integrated with a powerful 200W chipset and full temperature comprehension. Powered by dual 18650 (sold separately), the Puma 200W Box Mod features an intelligent chipset with rapid firing speed along with temperature control settings ranging from TCR adjustments and Bypass Mode. Built for ergonomic handling, the Vapor Storm Puma has a soft curvature shell made with durable ABS lightweight material, highly capable of handling a range of Sub-Ohm Tanks and RDA for a perfect all-day power-horse vape box mod.